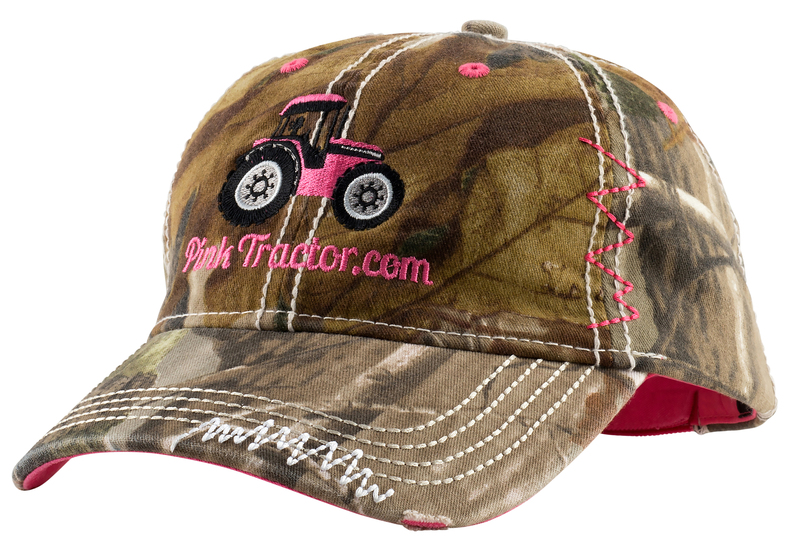 Our low profile, six panel unstructured RealTree AP® Camo Hat is made of washed camouflage twill and washed chino twill accents. 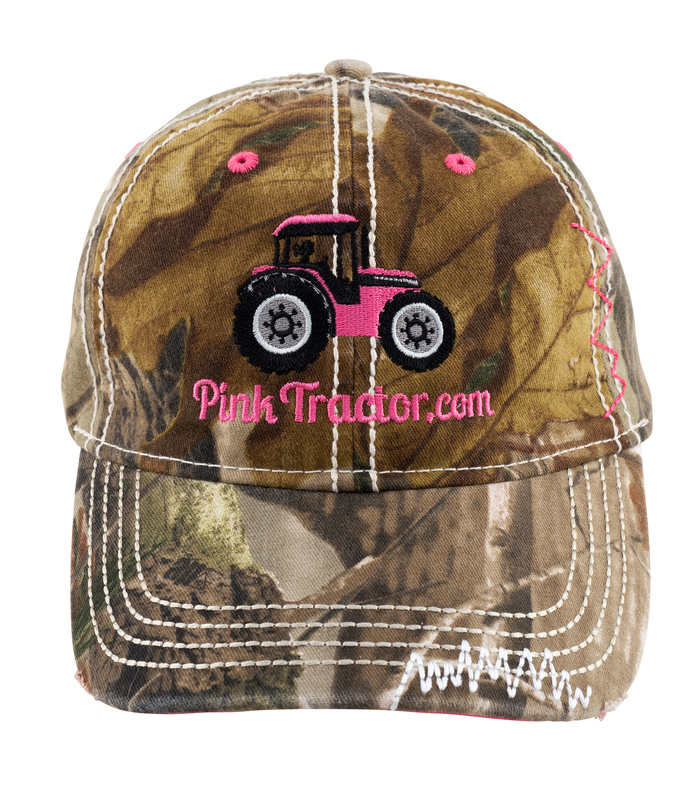 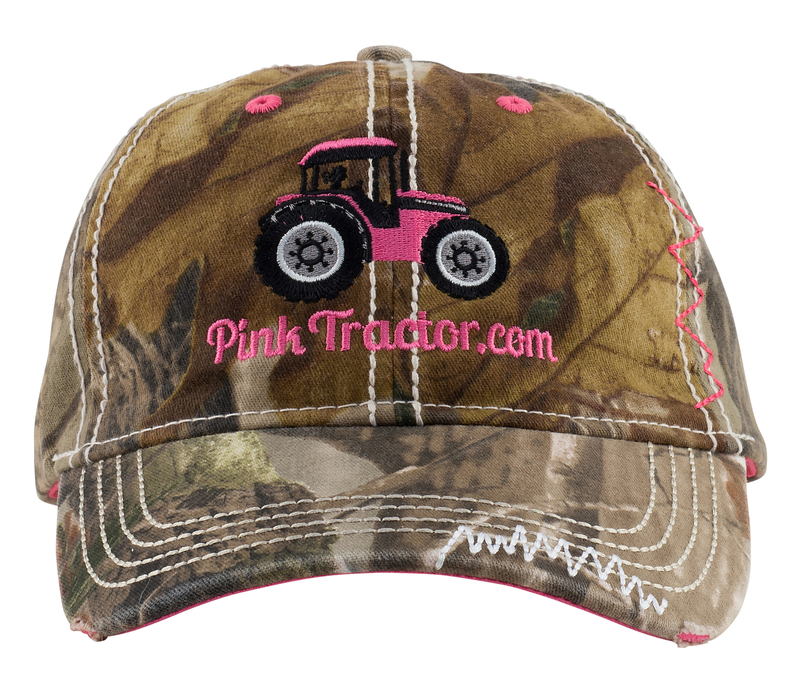 The Pink Tractor logo pops, along with the pink undervisor, eyelets and two piece velcro adjustable fabric strap. 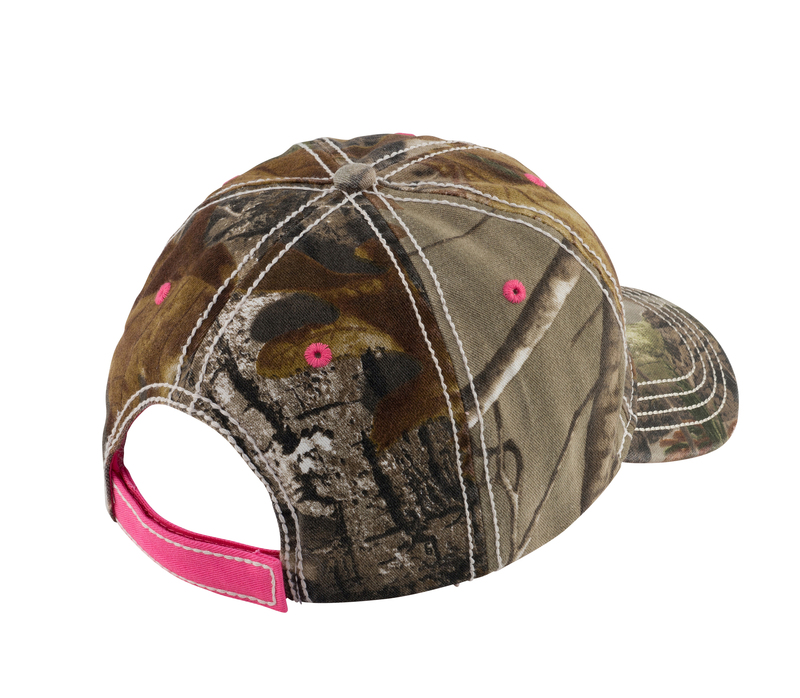 I love the look of this cap.